In 1911 Thomas Monico and A. E. Alles incorporated an import and wholesale business known as “Monico & Alles Co.” Located at 802-804 South Mill Street (corner of Division Street), they were the only company in New Castle at the time which did a genuine importing business in connection with a large general wholesale trade. In the beginning they only imported two items: Italian cheese and macaroni. 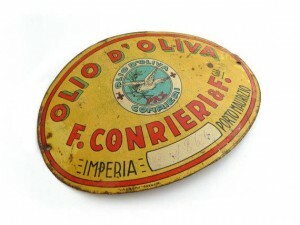 The men soon expanded to over two hundred products, most imported directly from Italy, and for which they were the exclusive agents throughout the eastern part of Ohio and western Pennsylvania. Most of their products were sold to large wholesale and retail firms in Pittsburgh and the immediate vicinity. The company fell into bad times and their properties were sold at a Sheriff sale in 1925.